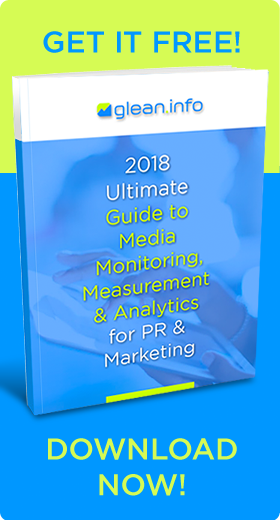 Most people associate media monitoring and measurement with public relations teams counting brand mentions in print publications, broadcasts, websites, and social media. But that’s not the correct image. Country and regional managers and others overseeing geographic regions also gain crucial insights from media monitoring and measurement. Where PR teams monitor for overall corporate reputation, country managers can monitor and assess media mentions for their particular area. Media analytics apply only to their local media mentions. Likewise, brand managers can and should monitor media mentions and perform analytics on their brand and on competing brands. Here are important ways corporate functions outside PR can benefit from enterprise-based news and social media monitoring and analytics. Marketers can obtain substantial value from media monitoring and measurement. Data from news and social media offer a potential goldmine of information on a brand’s customers, prospects, products and competitors. It also can provide insights about consumer reaction to marketing and advertising campaigns. Influencer marketing. Media monitoring can identify social media users with significant numbers of followers and strong engagement rates who already share positive content about the brand. New influencers appear regularly, and an automated monitoring tool can identify potential new influencers as soon as they emerge. A built-in measurement dashboard can also measure the effectiveness of influencer marketing. User-generated content. Social listening can uncover content that people share online. When they share favorable comments, images or videos about the brand, marketers can then reshare that content and distribute it with permission through other channels. Research shows that user-generated content can be an affordable and enormously effective strategy, as consumers trust recommendations of other consumers more than companies or professional reviewers. Measure marketing effectiveness. Social media analytics can help gauge the effectiveness of marketing campaigns. Media monitoring can determine what content your audience shares. For instance, you can determine if they prefer to share images, videos or infographics. In addition to tracking basic, top-of-the-funnel metrics such as reach and impressions, a media monitoring tool can track the number brand mentions and gauge the sentiment on a positive to negative sale, track more advanced metrics such as share of voice, and compare the brand’s marketing efforts against industry benchmarks. While many marketers focus on their number of followers, likes and shares, a sophisticated measurement tool can also track more meaningful metrics such as website referrals, conversions and sales leads. Although marketers can tap analytics of different social media platforms, a monitoring tool that combines metrics from the various social media platforms into one dashboard for easy viewing and integrated analytics provide social media marketers a comprehensive view of their work. Data to personalize content. Media measurement helps organizations create personalized messages and improve the customer experience. Listening tools, combined with advanced analytics, play a crucial role in understanding shopping behavior, according to research. It’s well-known that major companies such as Amazon and Netflix draw on large databases to personalize customer messages and product recommendations. Smaller companies that lack that can kind of big data can instead turn to smart data — in other words, gain actionable insights from the data at hand. Successful marketers employ data analytics to connect with customers on an emotional level and provide customers relevant choices that meet their needs. Integrate marketing and PR metrics. Both PR and marketing professionals agree that PR and marketing are converging. Executives realize that integrating communications, media monitoring and analytics functions offers clear advantages. Integrated communications functions call for an integrated communications dashboard that reports all earned, owned and paid metrics within a single view. An integrated dashboard shows how various communications impact key target audiences and stakeholders. It shows everyone the same over-arching goals and ensures clarity and consistency among all departments, teams and contributors on measurement strategies for individual campaigns, initiatives and projects. Competitive intelligence. Media monitoring identifies and assesses strengths and weaknesses in competitors’ products, customer service and marketing campaigns. To select keywords, replicate your own corporate and brand search terms with those of competitors. Include their company names, product names, products, misspellings and other keywords that describe industry issues. Product management. Brand managers can monitor comments about products and services and how sentiment toward them changes over time. That can reveal products’ strengths and weaknesses, how they can be improved, and possibly provide ideas for new product development. Monitoring can also reveal customer preferences – and the strength of those convictions. Tracking media on contentious issues in the product category can reveal emerging concerns about the category as a whole as well as a particular product. Media monitoring delivers data faster and more affordably than traditional market research methods, such as surveys and focus groups. Customer service. Social media has evolved into one of the most popular customer service channels. Many people would rather complain about a broken gadget on Twitter than call or email the company. The key is to monitor social media continuously and respond quickly, as consumers expect prompt resolutions to their problems. Many large companies have dedicated teams and command centers monitoring the key social media platforms including Twitter, Facebook, Instagram, Pinterest, Reddit and LinkedIn. Experts recommend monitoring for company, brand and product names as well as the company’s Twitter @handle. Human resources. Human resources can improve employee recruitment by monitoring how potential recruits feel toward the brand and the industry. HR can check the social media accounts of potential hires. PR and HR teams can publicize their company as a desirable and fun workplace. Through media monitoring and appropriate analytics, they can then gauge the effectiveness of their efforts. Social media monitoring can reveal if potential hires have bad mouthed the company, if employees violate company policies, of if disgruntled former employees post potentially slanderous comments. Finance. With comprehensive media monitoring, corporate finance can gain better insight into where quarterly financial reports and analyst meeting reports were published – and how the company’s messages are playing on Wall Street. Corporate finance can also follow financial results and sentiment toward competitors. Comparing results can help modify messaging and distribution strategies for financial reports. Legal. Media monitoring can capture when online news outlets mention the company, attorneys, clients, specific court cases and industry issues. Attorneys can learn of potential patent and copyright infringements and blog posts that require “take down” demands. It can also monitor social media accounts of opposing litigants. Corporate attorneys can also follow specific legal issues through media monitoring instead of searching. Sales. When potential customers ask about a product or mention it, they are usually considering buying the product. The social media monitoring or customer service team can respond with product and pricing information. Experts recommend using a social media listening tool that can monitor multiple keywords across multiple social media platforms and integrate reports into one intuitive, customizable dashboard. Regional managers. Country and regional managers can monitor local media placements about local brand names. 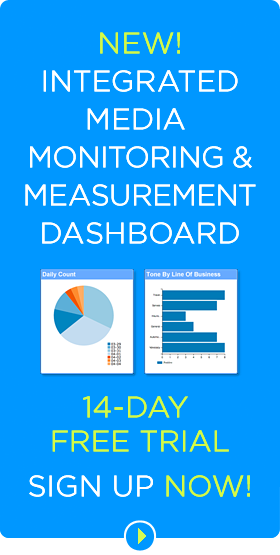 It’s critical to use a media monitoring and measurement dashboard that can organize media results by geography. In all these corporate functions, media monitoring and measurement offers the benefits of improved productivity, better insight, and better decision-making driven by valid data. Quality of the data analytics, rather than the quantity, is the key for successful data-driven decision-making. Some experts argue that focusing more on “why,” or the meaning and context, will provide better insights. Concentrating less on data and more on context will help obtain the full benefit from social media listening. In other words, business managers must “think like an anthropologist” in analyzing media monitoring data. Often, the content itself – not the data – provides the special ah-ha media monitoring insights that assist corporate decision-making. Glean.info, the media monitoring and analytics service, urges all users of media monitoring and analytics to read the content for meaning and context, not just look at the aggregated data. It’s not necessary, preferable or even appropriate for each department to order its own media monitoring service with its own keywords. All media monitoring can be accomplished with one comprehensive service. All media monitoring results can then be stored in one master archive accessible to all departments through a fully-integrated online dashboard. A one dashboard solution is more effective and less costly. It makes all information available to everyone in the organization while each function gets a customized subset of what it needs. Media monitoring services such as Glean.info can monitor media worldwide and then organize, store and analyze media mentions in separate, automatically-created files or folders segmented by division, brand, geography, corporate function, industry issue, competitor or most any other criteria the client requires. The service also customizes metrics for specific departments. 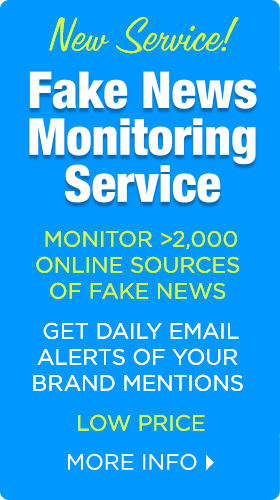 Daily monitoring of media across all departments or functions also provides all the needed content for a daily corporate executive newsletter or briefing. 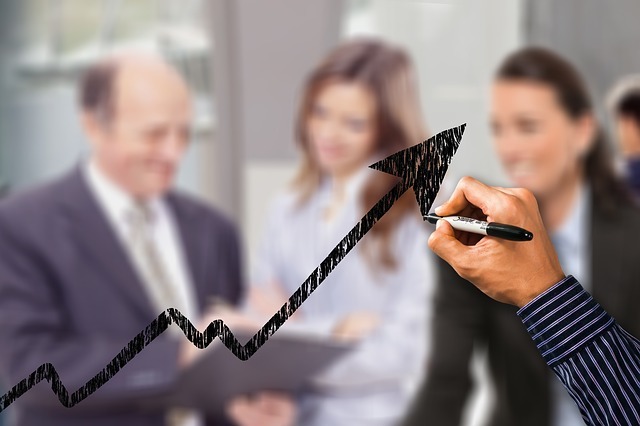 Feeding media monitoring results across all departments ensures that the entire organization – including the C-Suite — can readily access the treasure trove of information from media monitoring and measurement. The more departments that gain access to news and social media monitoring results, the more the entire organization will benefit – with little or no additional costs. Bottom Line: Most corporate departments and a range of company managers can benefit from media monitoring and measurement. Media monitoring is not just for PR anymore.